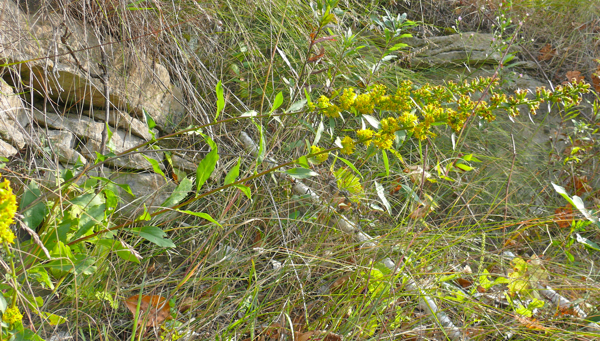 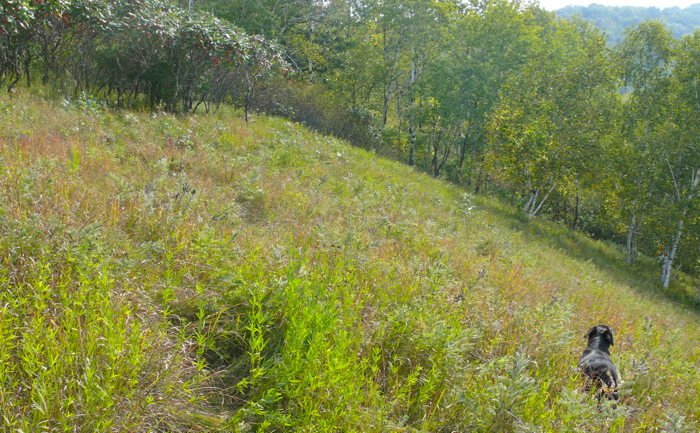 This is a beautiful steep prairie remnant on a hill that faces south-west. 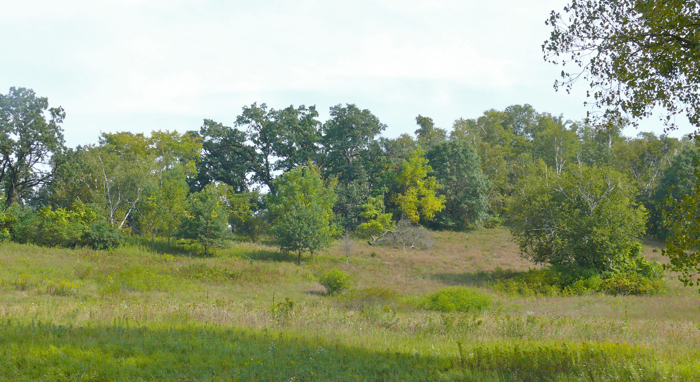 I visited it in August 2009, and found lots of prairie plants. 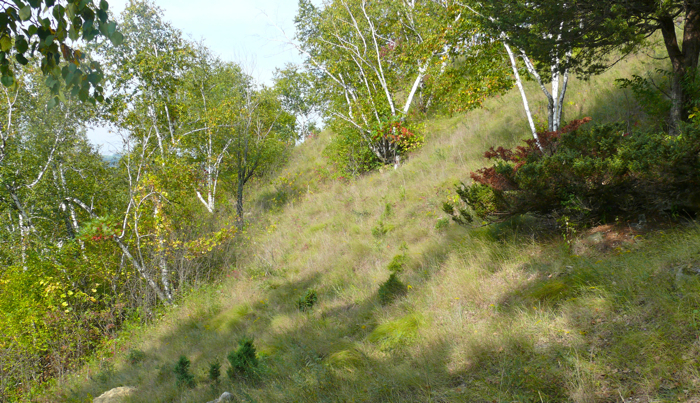 This is a view up toward the prairie from below – actually quite a steep slope. 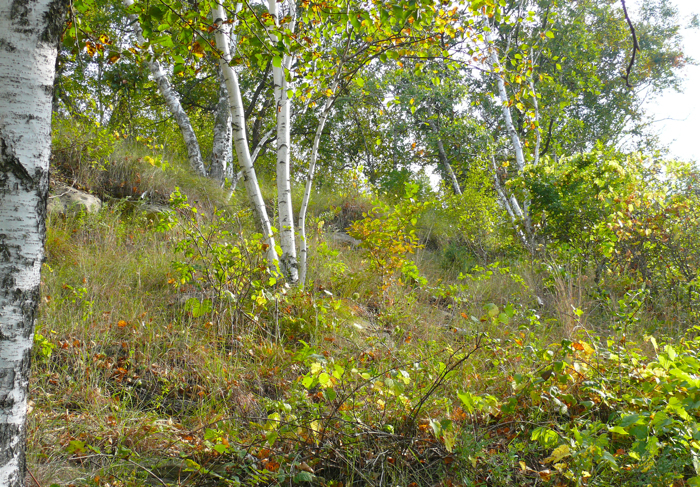 There are birch trees and bushes on the slope leading up to the steepest part of the prairie. 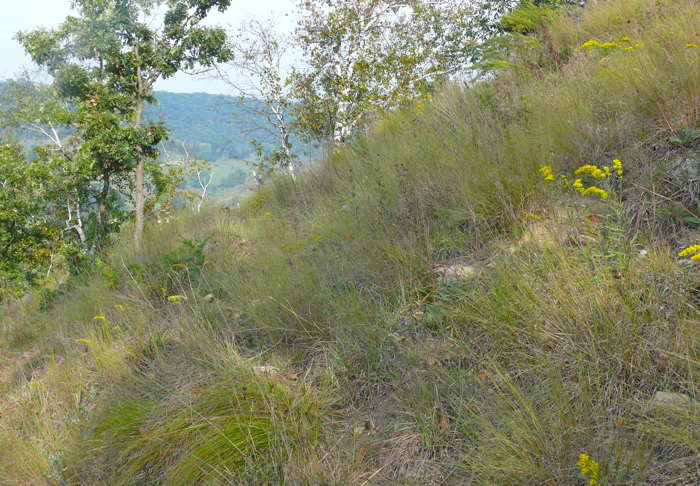 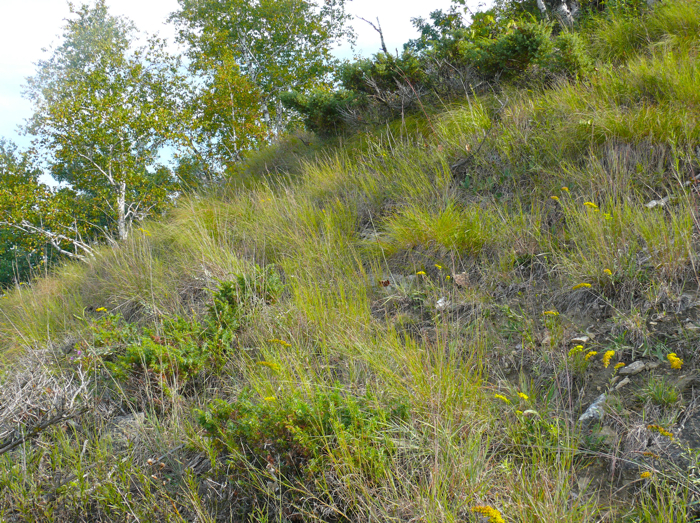 This is the steepest part – lots of dry prairie plants. 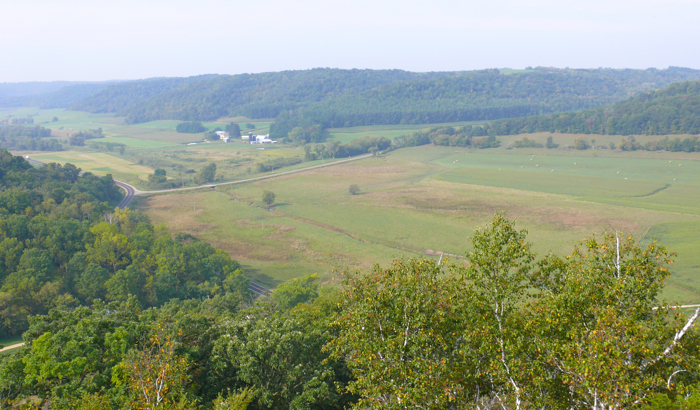 The view down the valley from the prairie.